Location plan of noise mitigation works. Photos of Cantilevered Noise Barrier. Photos of Vertical Noise Barrier . 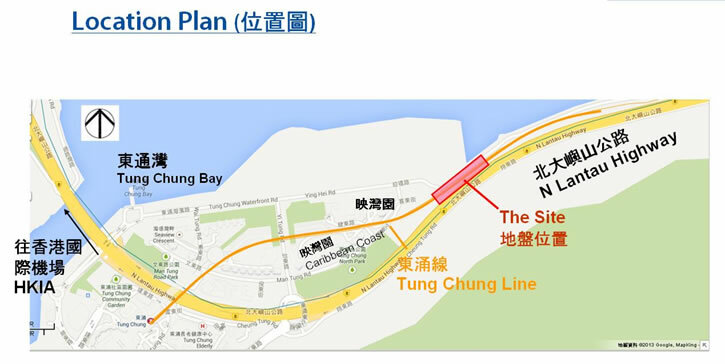 Along the trackside of Tung Chung Line – Down Line (to Sunny Bay direction), a new approx. 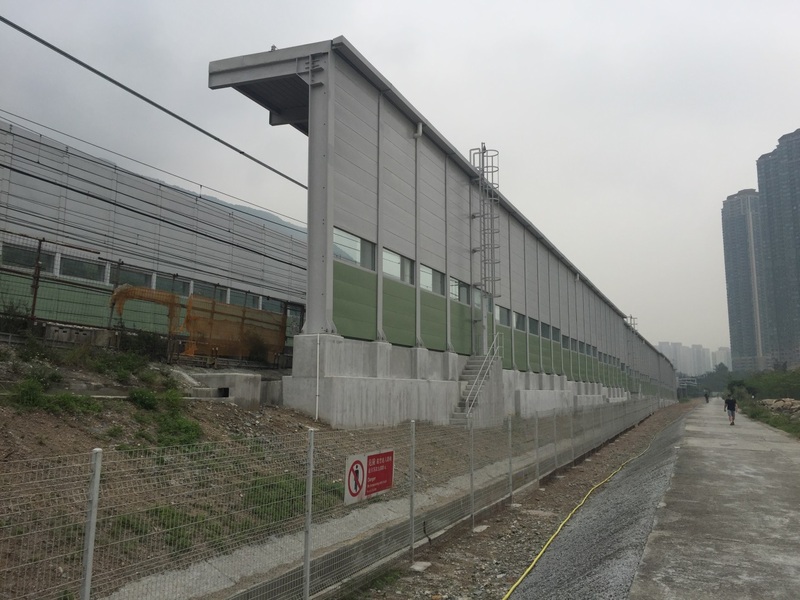 180m long cantilevered noise barrier was constructed. In addition, an approx. 60m long vertical noise barrier was built on the top of the existing portal wall near Ying Hei Road. The construction work was completed in Nov 2016.